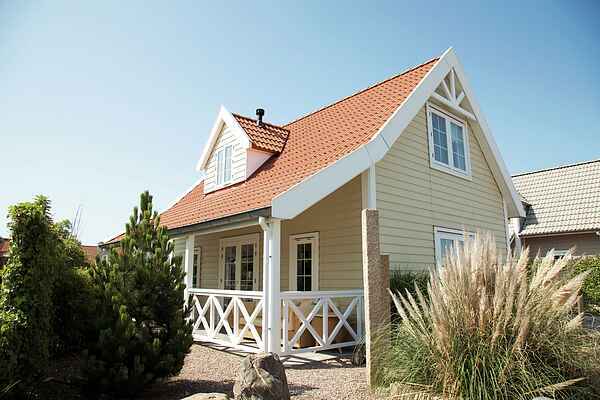 These detached villas are spread around the holiday park. The villas are very well kept and comfortably furnished. They each have a spacious living room with a dining area, a well equipped kitchen, three bedrooms and a bathroom. The attractive French windows in the living room open onto to a garden with a terrace and garden furniture. The villas are positioned so that privacy is assured.